Victoria Grizzlies fans will get their first look at newcomers Keyler Bruce and Pearce Eviston at home tonight. But on Friday the team continued to ride the Fitzgerald triplets to a successful result. Myles Fitzgerald scored twice, including the game-winner with 24.7 seconds left in the third period, as the Grizzlies roared back from a 2-0 second-period deficit to defeat the Alberni Valley Bulldogs 3-2 at Weyerhaeuser Arena. 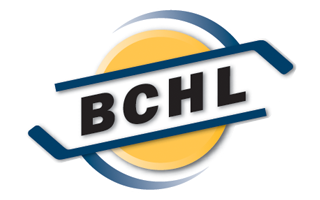 The win, coupled with Penticton’s 2-1 loss in Surrey, leaves the Grizzlies in first place overall in the B.C. 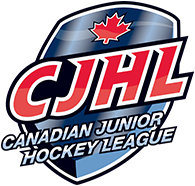 Hockey League at 25-9-0-3, two points up on the Vees with a game in hand. Gerry Fitzgerald had a goal and an assist and Leo Fitzgerald had a helper as Victoria finally solved netminder Jay Deo in the third. The Fitzgeralds hail from Port Alberni and sent the Bulldogs fans home entertained but grumpy, yet again. “They love to get home and put a show on in front of their friends and family,” Grizzlies general manager and head coach Bill Bestwick said of the dynamic trio. “They’re really popular kids here and they usually don’t disappoint. Qualicum Beach native Evan Tironese had a goal and an assist for the Bulldogs, who are now on a three-game losing streak, while Victoria has a modest three-game victory run. The Bulldogs led 1-0 on Tironese’s goal at 5:37 of the first period. Matthew Hansen made it 2-0 at 14:12 of the second as he beat Grizzlies’ netminder Mike Stiliadis. Gerry Fitzgerald finally solved Deo on a power play early in the third period to ignite the comeback. Tonight the Grizzlies entertain the Chilliwack Chiefs at 7:15 p.m. at Bear Mountain Arena, where Victoria fans will get to see Bruce and Eviston in their home silks. Bruce, known as a bit of an agitator, was called for three minor penalties (high-sticking, tripping and charging) in his first start on Friday, having come over from the Cowichan Valley Capitals in Thursday’s trade deadline. Garrett Skrbich went the other way in the deal, along with future considerations. Eviston was swapped to the Island from Vernon as the future considerations part of a deal that sent defenceman Sean Robertson to the Vipers early last season. Victoria out-shot Alberni 45-24, including a 17-6 advantage in the pivotal third period.